Liebenberg is the Chief Technology Officer for Kobalt Music. 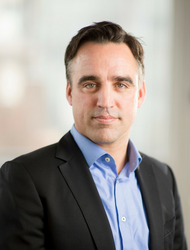 He previously served in multiple officer positions at Schibsted ASA and Schibsted Media Group, including Chief Platform Officer and CTO, where he led the platformisation of the business and rapidly scaled up a large engineering, data, UX, and product organisation. Prior to Schibsted, he founded 3D mapping and location services startup, Recce after having helped set up Google’s European engineering capability while he held various roles from EMEA CIO, to leading AdSense engineering teams, to building out the real-time communication tools, which led to Google Hangouts and the WebRTC standard.